Forged Racing radiator, which is based on sophisticated technologies is just the opposite, having more tube surface and fewer fins, allowing it to cool more effectively.Besides this Forged Racing radiator heater cores allows greater heat transfer using the same or less space required from traditional copper/brass components. 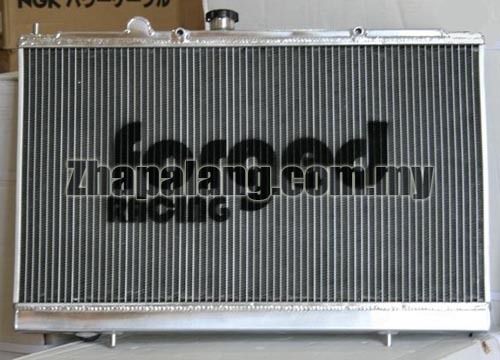 Other benefit of the Forged Racing aluminum radiator are its strength and weight. 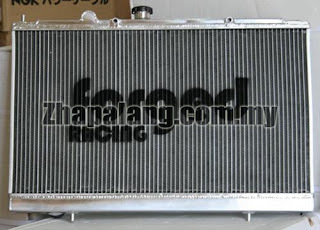 Most radiator have the tanks welded to tubes, but Forged Racing aluminum radiator it is sealed tirh epoxy, making it much stronger and more capable of withstanding the rigor of racing. Manufactured from lighter material and with a lower fin counts Forged Racing aluminum radiator are also much lighter than conventional radiator.